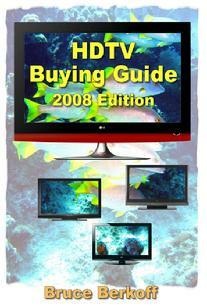 If you're ready to buy an HDTV, this book is all you need to understand the various choices and choose the right one. This book covers all the bases, but is so easy to understand that I'd give it to anyone in my family who wants to buy an HDTV. It will make holiday gift buying easy. Bruce Berkoff knows just how to explain HDTV so you can put your new understanding to work right away. I think my Mom can benefit from this book too.